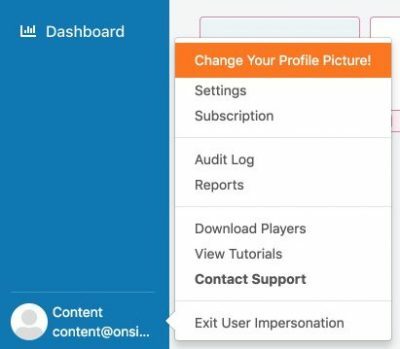 Click on your username at the bottom-left of your OnSign TV account. Select then “Settings” from the drop-down menu. 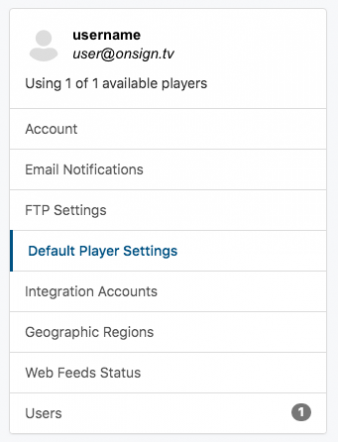 Click the “Default Player Settings” option from the menu. Scroll down to “Working Schedule”. 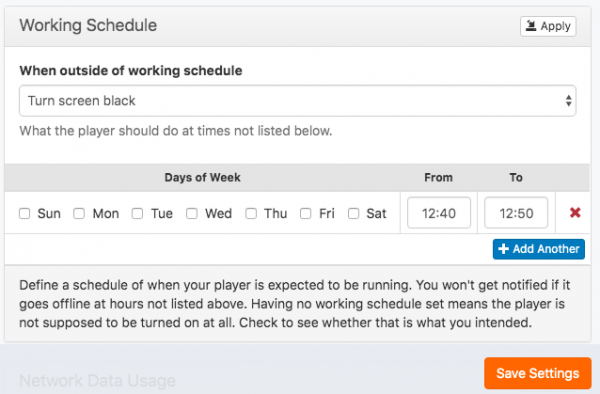 In the box “When outside of working schedule”, change “Keep Playing Campaigns” to “Turn Screen Black”. Define which Players or Player Groups to be set to turn black by clicking on “Apply”. Be reminded that you won't receive email alerts in case something goes wrong with your Player outside of working hours. Confirm with the “Save Settings” button.